Often times we do not know that something is harming our credit score until it is too late. We go to apply for a loan, or try and get a new credit card, only to find that our credit rating is much lower than we expected. When this happens it is important to discover the cause of your low credit rating so that you can take steps to fix it. 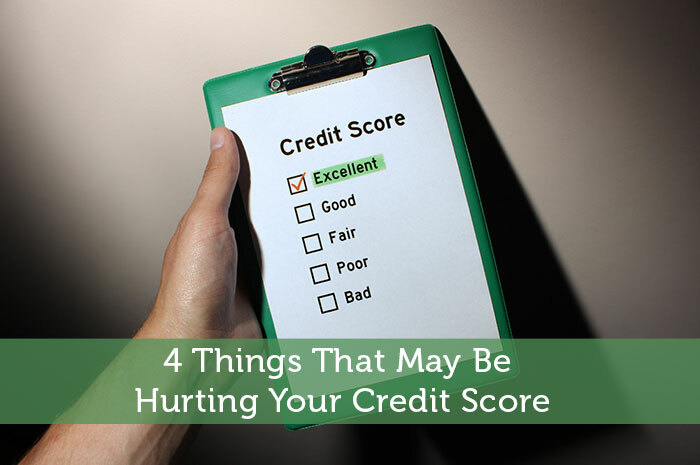 Once you have your credit report in hand, examine it for the following items and see if they are the cause of your low score. For starters, you score may be low simply because you do not have a long credit history. If you are first starting out, your score is going to be lower since you do not have a history built up. One of the determining factors of a credit score is how reliable you are over time, and the only way to prove this is to have consistently good habits for a long period of time. To fix this, all you can really do is wait, and try to maintain good habits. One of the most common reasons for a lower credit score is that you missed a payment somewhere along the line. A missed payment is a major red flag to credit reporting agencies, and they will typically drop your score if they see one. Even if it has been a while since you last missed a payment, these tend to stay on your record for a long time. To fix this, you can attempt to contact the credit reporting agency and try to have it removed, or you can simply wait. As you go along your on-time payments will start to outweigh your missed payment more, and your score will once again go up. Another common reason for a low credit score is when you are in debt. While simply having debt is not an issue, if you are consistently taking out more money, and struggling to repay the loans, this will reflect poorly on your credit history. You are going to want to take steps to start getting your debt under control, not only for the sake of your credit rating, but for your financial stability as well. To help you out, here are a few ways that you can begin getting a handle on your debt. Lastly, every time you apply for something like a loan, a new car, or a credit card, your credit score will be checked. If you do this too often, it will have a negative effect on your score. The best thing to do is take off a couple of weeks in between credit inquiries before trying again. While some steps have been taken to try and limit the impact that credit inquiries have on your credit score, if you are doing them too often, it could be the reason for your low score. So just take a break and see if that helps out your situation. If you have gone through your own personal credit report, and did not find that any of the reasons above were causing your low credit rating, you may need to talk to someone with expertise. There are many financial advisers out there who can give you a better understanding of your credit history, and provide you with a more detailed plan on how to raise your score. Getting your credit score under control is one of the best financial decisions that you can make. Don’t wait until it’s too late to do something about it. Get a copy of your credit score, and if the number seems like it is too low, find out the reason as soon as you can so that you can start taking steps to improve it. Good advice! And regarding debt in general, a lot of people don’t know that for certain types of debt (for example credit card debt, or a line of credit), it’s to people’s advantage to ensure that they use only a low percentage of available credit – if they max out their credit cards, it’ll cause them to have a lower credit score than they would if they kept their balances low.